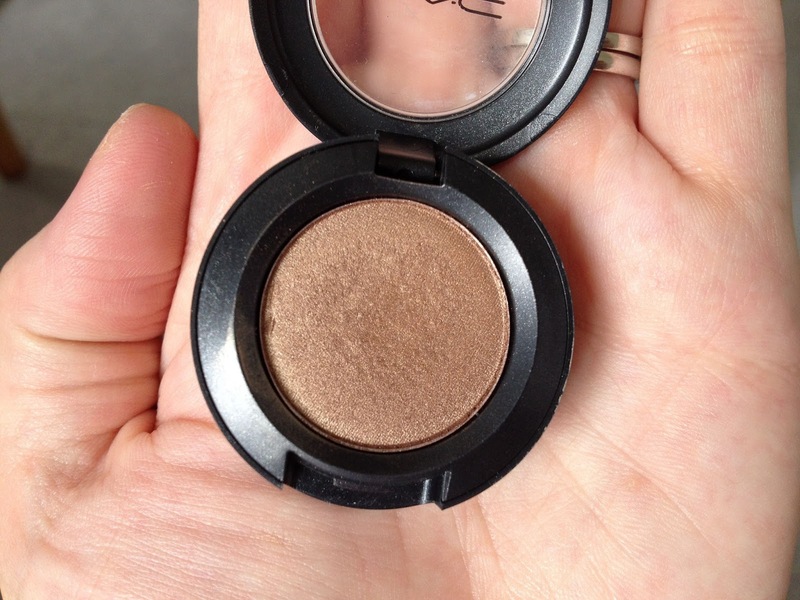 In my opinion, MAC eye shadows are the best out there. This perhaps goes some way to explain why I have so many of them! 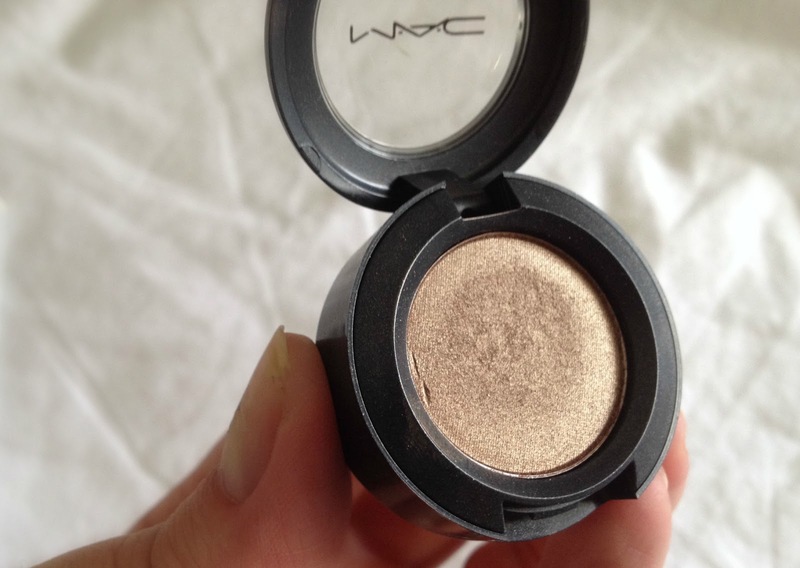 So this week's MAC Monday is dedicated to an eye shadow I have been wearing a lot recently - MAC Woodwinked. I bought Woodwinked a year ago when I passing through an airport. I normally buy MAC eye shadows in the pro palette format - they are slightly cheaper and fit into my big palette. But in the airport they only had the single eyeshadow pots. I must admit that when I returned from that holiday the single pot got lost somewhere amidst the chaos of my make up collection. It was a case of out of sight out of mind for a while, until someone mentioned it online and I had to dig it out! Woodwinked is a veluxe pearl finish eye shadow, so it has some shimmer to it - but not chunky glitter. It is very soft and easily blendable. Colour wise it is an antique gold colour with hints of a yellow toned bronze. It really brings out the blue of my eyes but would also look good with brown or green eyes. I use Woodwinked all over the lid and use a darker colour such as Satin Taupe or Swiss Chocolate (which I reviewed HERE) in the crease and corners. I don't wear much eye liner with it - just a subtle brown gel liner and of course lots of mascara. Woodwinked looks better with a warm toned lip - something like MAC Ravishing (which I reviewed last week HERE) or my other current favourite - my Clinique Chubby Stick in Mega Melon. Mega Melon is quite sheer, but it is a lovely warm golden terracotta beige colour (?). Woodwinked will look great for summer evenings and I'm definitely taking it on my holiday next week! I also think it is a lovely autumnal colour (especially when those plum lipsticks come out again). 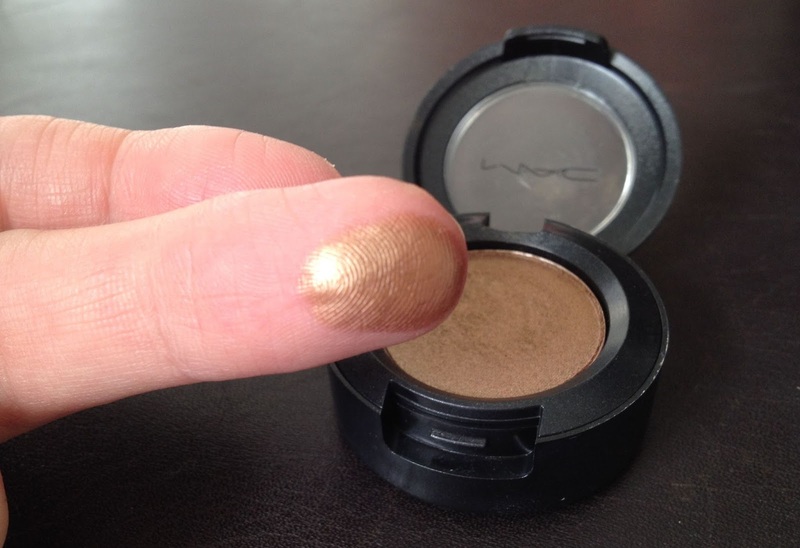 MAC Woodwinked is £12.50 for the single shadow HERE or £10 for the pro palette version HERE. 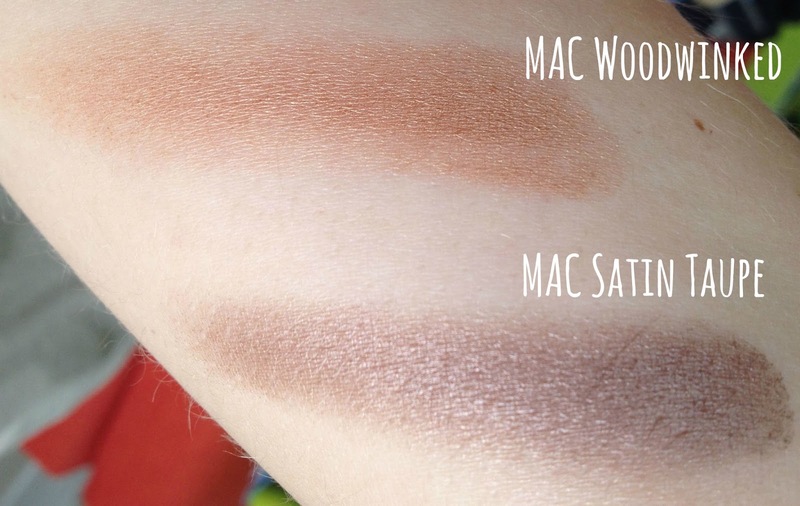 Which are your favourite MAC eye shadows? Want more MAC Monday? Check out my previous posts HERE and also take a look at Swatch and Review and see what Julie has reviewed this week.